Twitter is roasting Drake and Popcaan for paying homage to each other with tattoos. Seems like there is a bromance going on between the Toronto rapper and the “Unruly Boss” deejay. Last week Drake got himself a “Hotskull Unruly” tattoo on his left arm and then the next day Popcaan got himself an OVO tattoo. There is no doubt these two have grown from fans of each other to becoming close friends. Seems social media is taking note and the comments are just hilarious. Some folks thinks that Drake is simply not gangsta enough to get that tattoo while others in dancehall circles thinks that Popcaan should have gotten a Vybz Kartel tattoo rather than Drake. 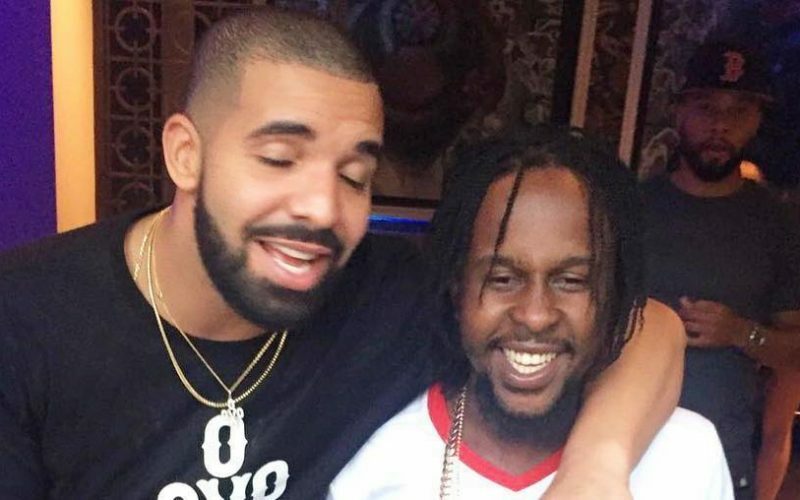 “Popcaan put on Ovo tattoo and big up 1 Million man ina “give thanks” except the man weh buss him much less fi tatt gaza Loyalty these days,” one fan wrote on Twitter. “Popcaan nuh remember when kartel shub out Jeffery cause of tattoo,” another fan tweeted. For Drake, his fans went even further saying that he is too soft for tattoos period. I thought the Drake tattoo was gonna be worse tbh lol but don't get me wrong it's bad. It's ghost rider.